Green tea at bedtime has been considered for generations to be a soothing and relaxing sleep aid and that was before the research into Theanine explained why this amino acid in green tea is so effective in relaxing the body for sleep. It has such a calming effect that many take it as an aid to preventing or lessening panic attacks. 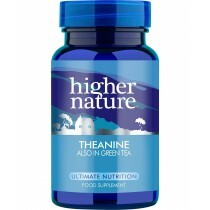 If you were to look for a definition of Theanine you would most likely find that it is a naturally occurring amino acid which the body produces to handle stress. Most likely the definition would also refer to glutamate which is also an amino acid but not naturally occurring and it must be injected from the food supply. Monosodium glutamate has had bad press but plain glutamate is important for you in varying degrees in your body. That is because it is building block of all of your organs but where the dichotomy exists is in that fact that at some points glutamate is blocked by other amino acids and at other junctures it is enhanced by them. So is Green Tea Soothing or Produces more Agitation? 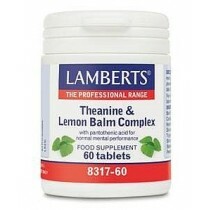 The reviews are positive from people who have taken added amounts of Theanine for its apparent calming effects. A large percentage of a tested group says that it makes them feel more relaxed and calm. The best advice is from a physician no doubt but if your grandmother tells you to sit and have a cup of tea during a stressful time then by all means do it. But if you are thinking of taking any increased amino acid producing supplements that doctor is the best source. Track all of your changes and note any changes in mood that you experience while taking increased amounts.